Bubblo World is an original puzzle game. 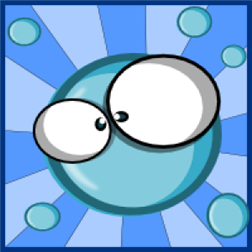 The objective is to pop all bubbles starting from a single tap. The game takes the player on a wonderful journey into the world of bubbles!! Prove how good you are by solving puzzles & helping the bubbles! This game is fun. It’s a must have. Be Warned that playing this game will increase your IQ! !